ORLANDO, Fla., Nov. 8, 2018 /PRNewswire/ -- The Registry Collection® program, the world's largest luxury exchange program, recently added two new resort properties in the Caribbean to its luxury exchange network. The resorts, LANAIS at Maré in San Juan and Hideaway at Royalton Saint Lucia, expand The Registry Collection program's presence in these popular vacation destinations. LANAIS at Maré was originally part of the ESJ Towers complex, one of North America's first timeshares. Developer Keith St. Clair purchased the complex with the vision of revitalizing the property and providing members with an exceptional, upgraded experience. Located in San Juan, the property is right in the heart of the area's electric urban scene with access to its amazing beaches, gourmet cuisine and art museums. "It is exciting to upgrade the already stunning units at LANAIS at Maré to The Registry Collection program level," said St. Clair. "We can't wait to delight The Registry Collection members with our outstanding product and excellent customer service when we are completed at the end of 2018." The LANAIS at Maré units have completed a comprehensive refurbishment plan, including new bathrooms and a state-of-the-art kitchen. In addition, completely new furnishings and entertainment systems were added. 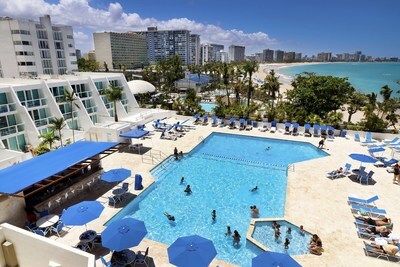 The accommodations also feature views that overlook the world-famous Isla Verde beach and the new resort pool and bar area. 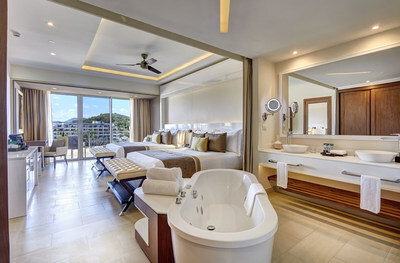 Growing its network in another highly sought-after Caribbean vacation spot, The Registry Collection program also welcomed Hideaway at Royalton Saint Lucia. The elegant, adults-only resort provides members with a luxurious experience along Saint Lucia's pristine beaches. The 166 suite accommodations provide features like the Royalton signature DreamBed™, separate living areas and dining space along with a private balcony or terrace for soaking up the gorgeous ocean vistas. "The experience at Hideaway at Royalton Saint Lucia is a unique blend of high-end and modern accommodations combined with the charming Caribbean flavor in our private cove that once used to be a pirates' hideout," said Alejandro Rodriguez del Peon, marketing director for TravelSmart. "We look forward to offering The Registry Collection members an exceptional vacation filled with culture and the lush environments of Saint Lucia itself. With no doubt, a vacation like no other." The experience at the resort extends beyond the accommodations with the perfect mix of daily water sports, fitness programs, yoga on the beach, poolside mixology classes, sunset champagne toasts and more. Members also have access to the finest of amenities including Royalton Saint Lucia's restaurants, bars, infinity pool, and world-class Royal Spa. "Both of these resorts offer an excellent fit for our luxury portfolio, providing our members with unparalleled experiences in the Caribbean islands," said Gregg Anderson, global vice president of The Registry Collection program. "The islands of Puerto Rico and Saint Lucia are stunning alone. When you combine those locations with these resorts' luxury offerings, the end result is an unforgettable vacation experience." For more information, visit TheRegistryCollection.com or TRCAffiliates.com. The Registry Collection® program is the world's largest luxury exchange program, with approximately 200 affiliated properties that are either accessible for exchange or under development. From condo hotels and high-end fractional resorts to private residence clubs and fractional yachts, The Registry Collection program provides members with access to an elite network of the finest vacation properties at some of the world's premier destinations, as well as travel concierge services that are available 24 hours a day. The Registry Collection program is offered by RCI, the worldwide leader in vacation exchange and part of Wyndham Destinations (NYSE:WYND). For additional information visit our media center or TheRegistryCollection.com. You can also find The Registry Collection on Facebook and Instagram.